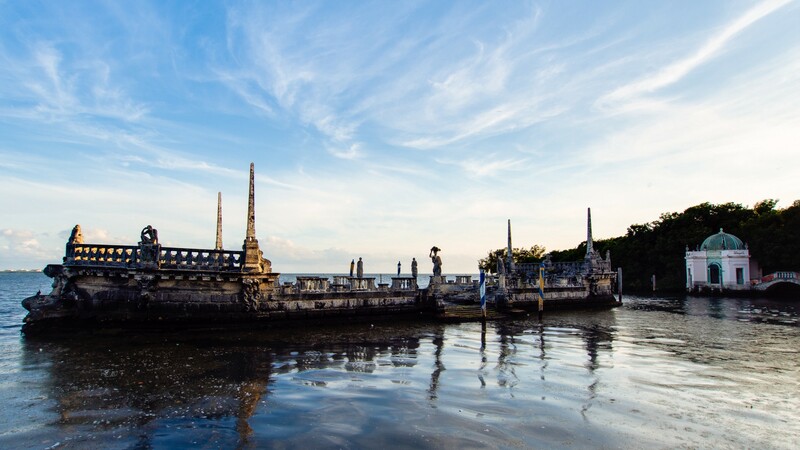 A weathered manor on Biscayne Bay. 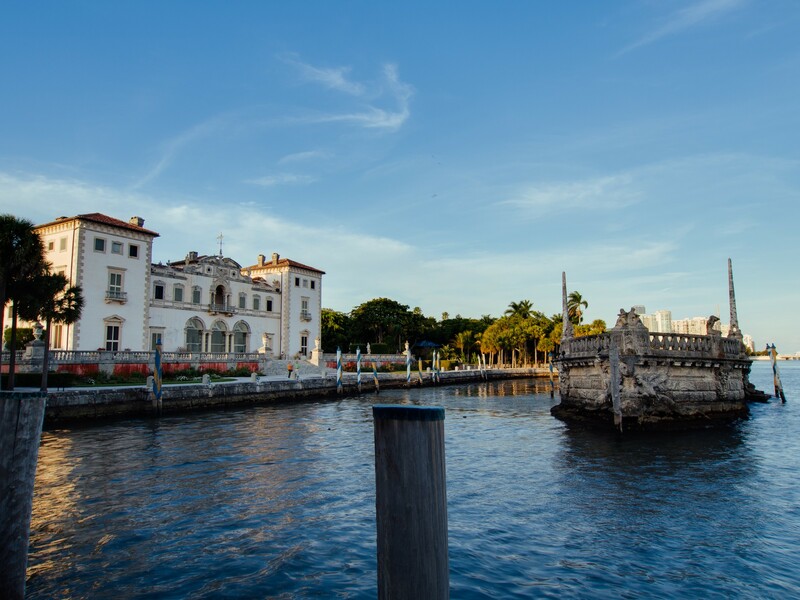 Tucked away in a residential Miami neighborhood, the Vizcaya Museum and Gardens sits directly on the Bay of Biscayne. 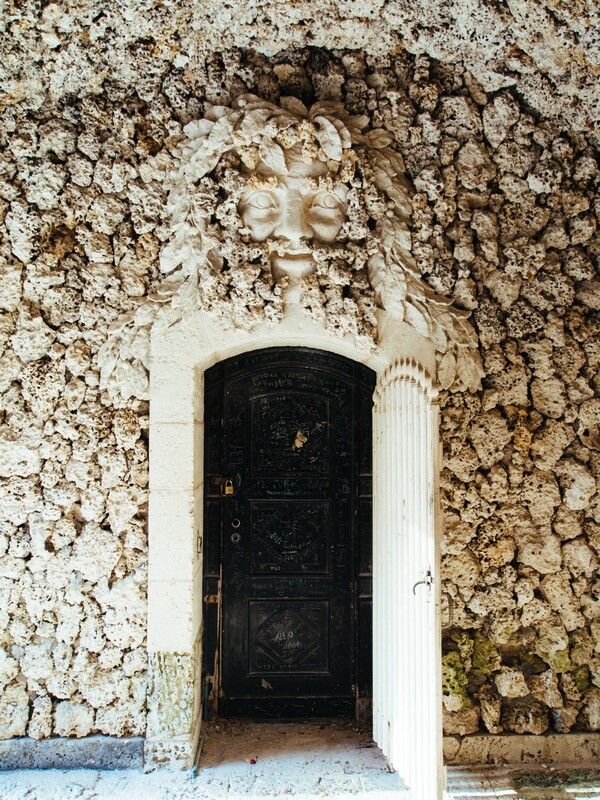 It was built by the wealthy industrialist James Deering in the early 1900s as his winter house. 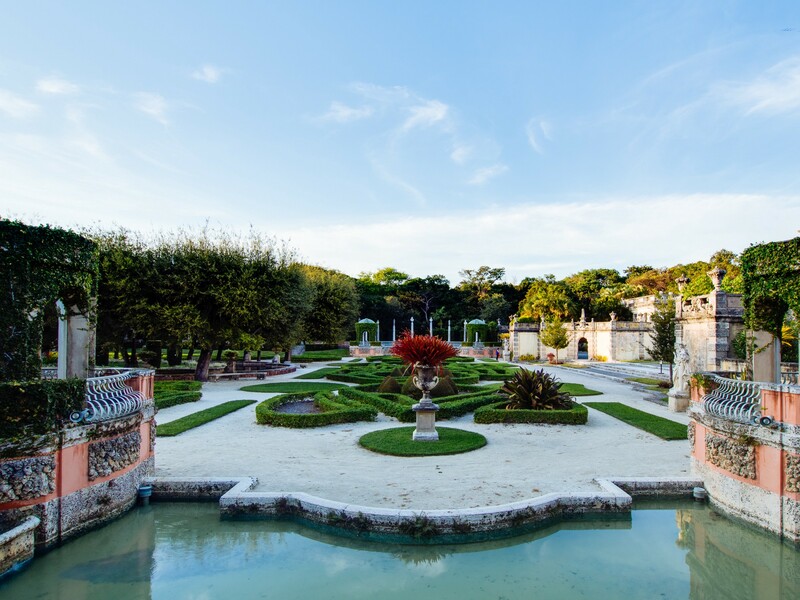 Deering, along with his designer Paul Chalfin, envisioned a European mansion set on the Florida Coast, flanked by Italian Renaissance gardens and, further out, by mangrove shores and mahogany hammocks. 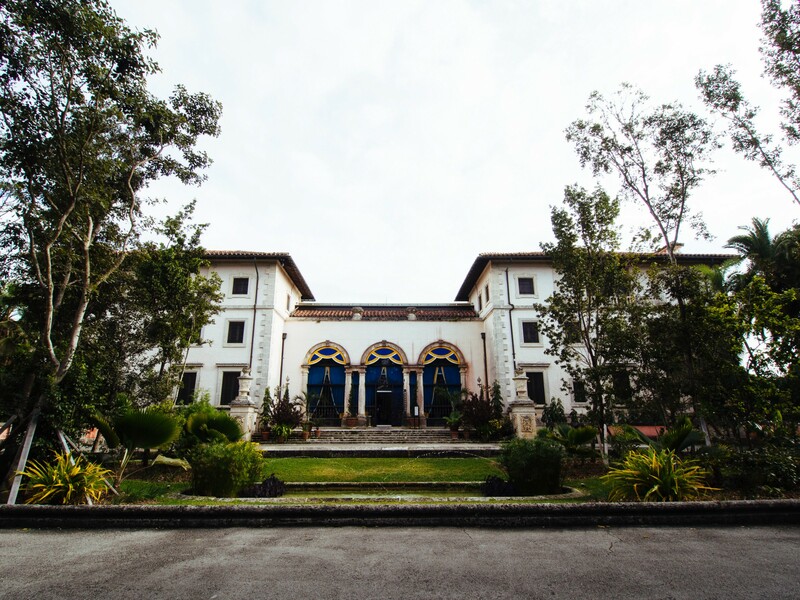 Deering only lived in his mansion for a few years before dying in 1925. 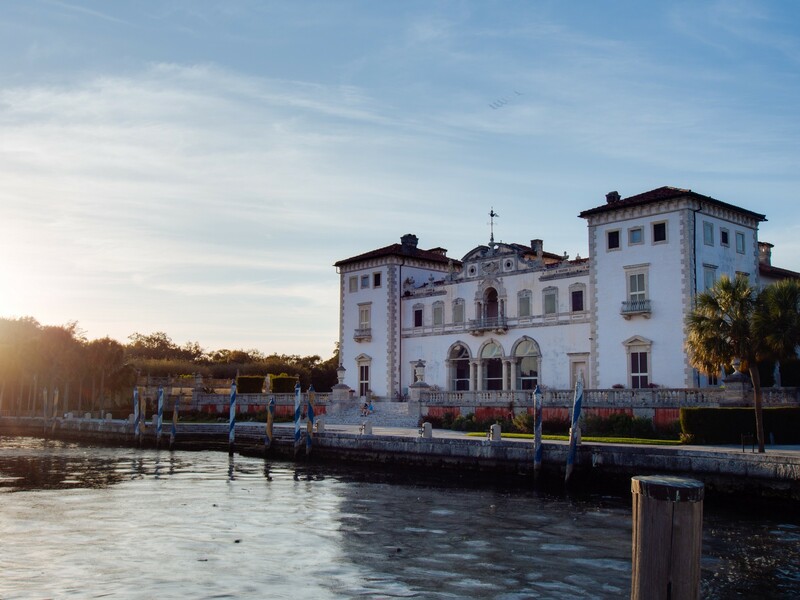 The estate passed to his nieces, who struggled with the upkeep as the property was repeatedly battered by hurricanes over the next thirty years. 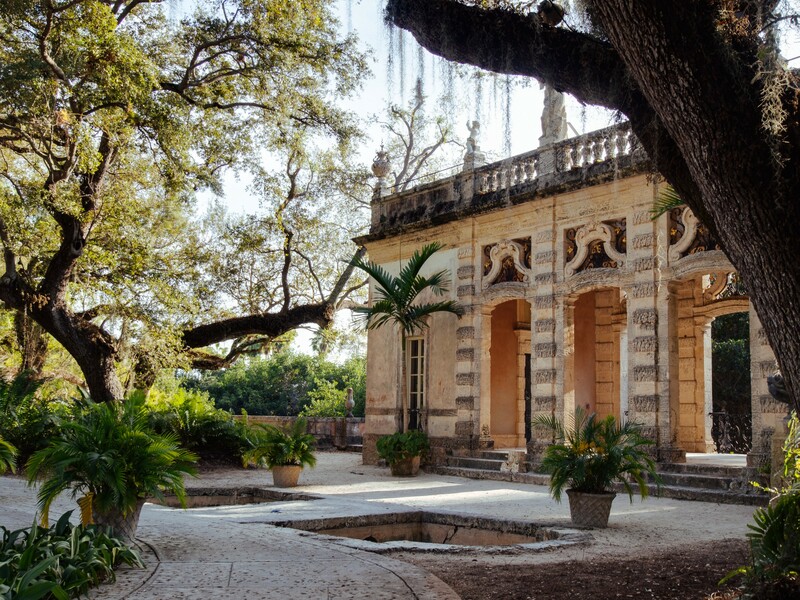 In 1952, they donated the grounds to Miami-Dade County, and it’s been a museum ever since. 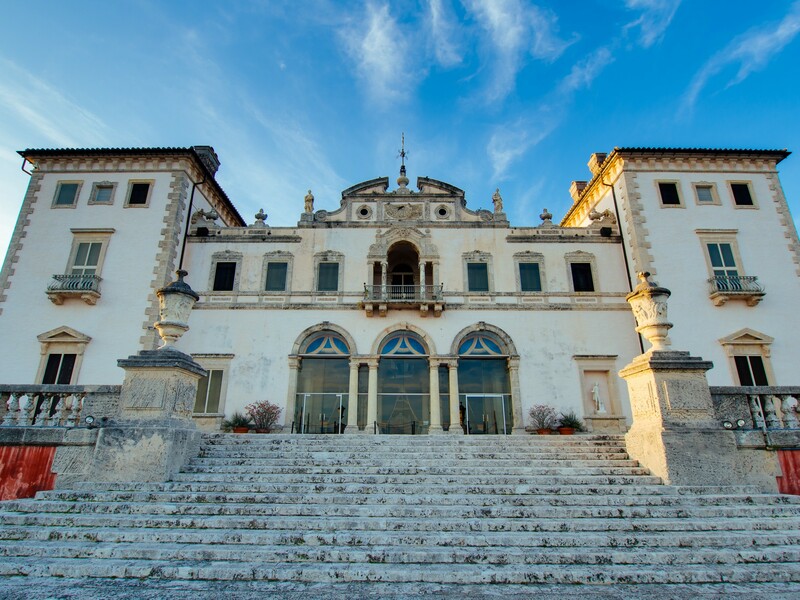 Vizcaya looks like every Miami mansion you’ve ever seen in a film because it is: it’s made appearances in Iron Man 3, Bad Boys 2, and Any Given Sunday, among others. But up-close the site is that it doesn’t have any sheen of Hollywood glossiness to it; instead, it feels weathered, overgrown, elegiac. Even the breakwater — a massive concrete sculpture of a barge — reinforces this feeling. 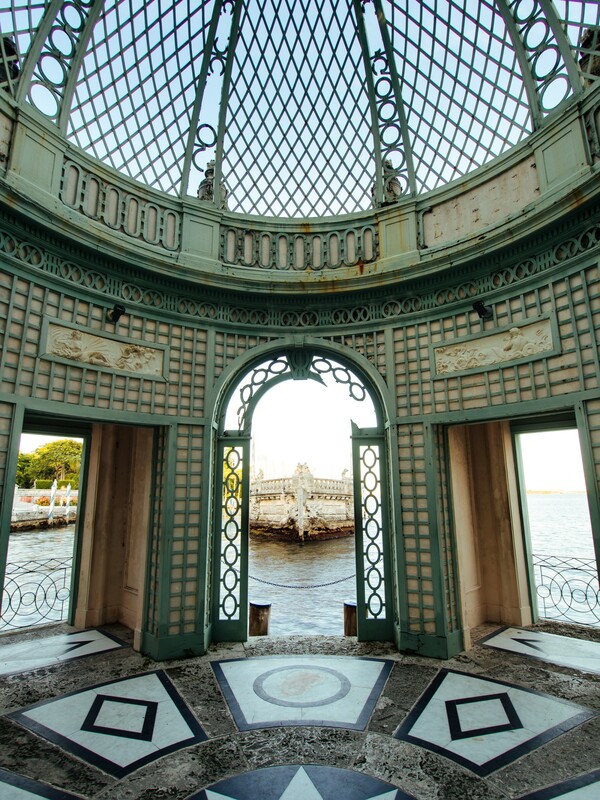 In Deering’s day, the barge would have been decorated with trees, lattices, and fountains. Today, it seems more like a picturesque shipwreck, an impossible craft run aground, sagging slowly into the bay. This feeling grows stronger as you get away from the main house and into the wilder and less trafficked corners of the gardens. The orderly hedges that border the house gradually give way, first to oak trees covered with Spanish moss, then to mangrove shores. 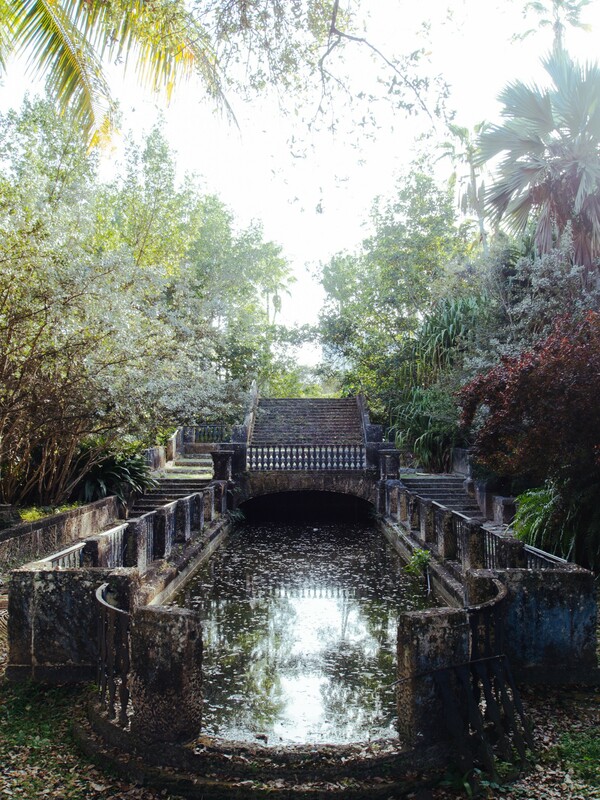 The casino, a semi-enclosed structure from which you can look out at the manicured gardens in one direction and the untouched waterways in the other. On an uncrowded day, the margins of the estate take on a slightly menacing air as the statues grow more hurricane-ravaged and the landscape becomes wilder. At the back of the grounds, an “Area Closed” sign hangs on an otherwise unremarkable chain-link fence overgrown with vines. Pulling aside the vines reveals another garden, abandoned for the moment, waiting for the funding or interest to restore it to its former state. The restoration of areas like these is actually increasingly likely. 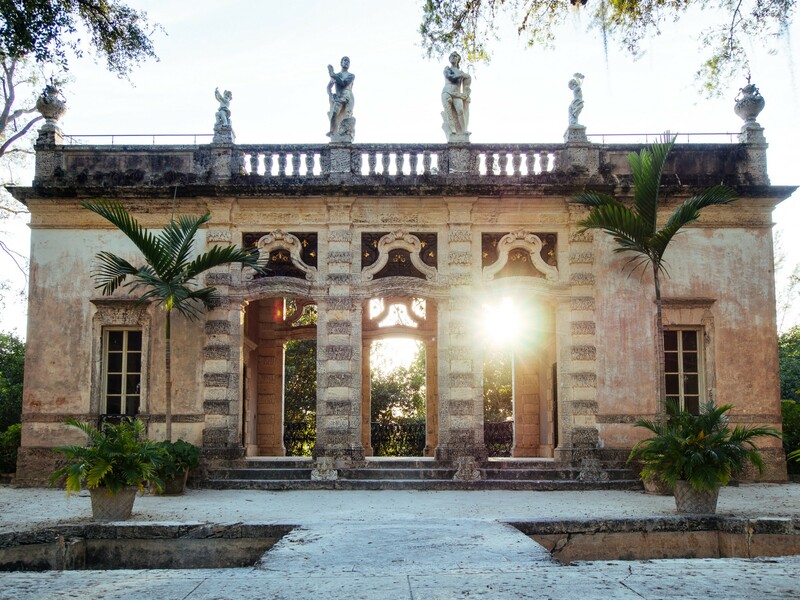 Over the least few years, Vizcaya has had an increase in traffic and notoriety, and there has been a corresponding increase in the funds available for upkeep and restoration. They’ve already renovated large swaths of the house and gardens, and another major project is planned for later in 2015. These projects are undoubtedly good for the site, but it’s unlikely that they’ll fully erase the feelings I experienced wandering the grounds. 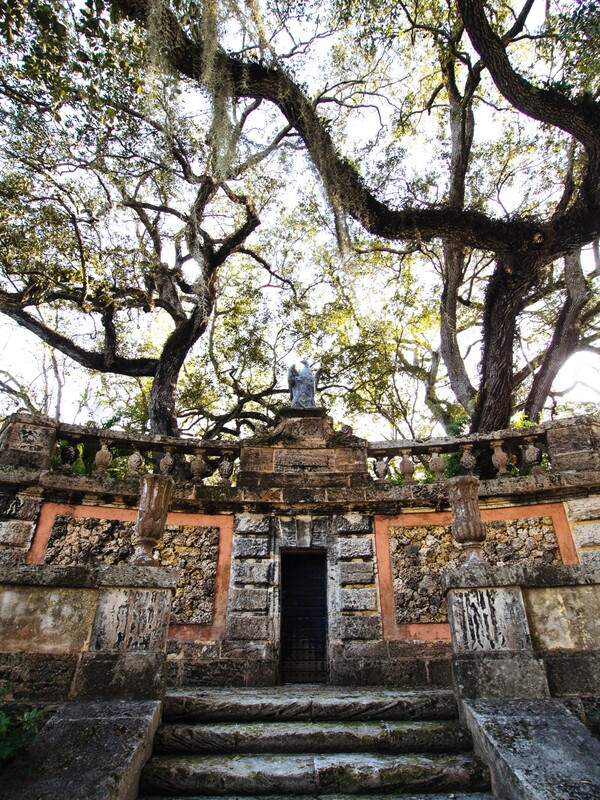 When he built the estate, Deering wanted the house and grounds to have a timeless, ancient feel; he re-used elements from older buildings in some places and artificially weathered the building materials in others. He needn’t have bothered. 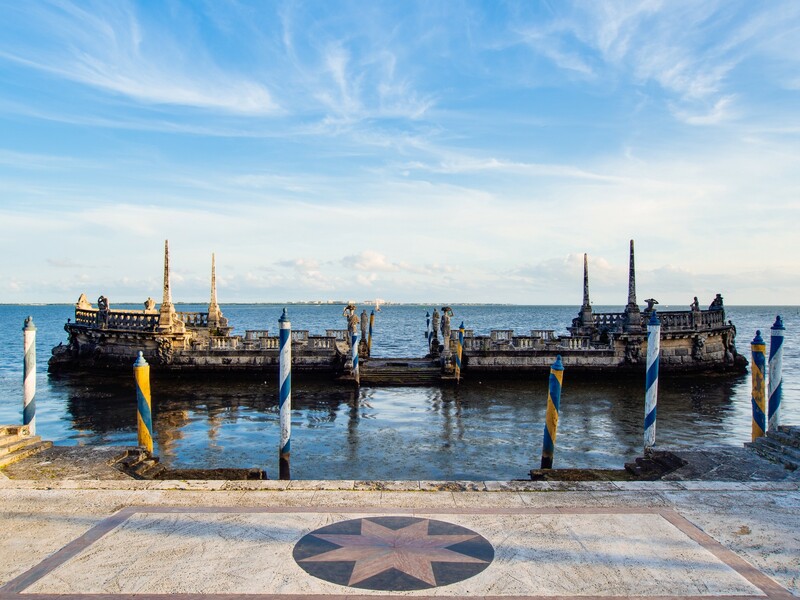 The salt and storms of the Florida Coast have done his job for him, and Vizcaya feels — as it probably always will — like a place lost in time. The view from the tea-house toward the barge. 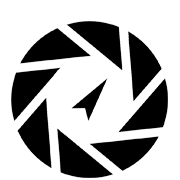 Kyle Deas is a writer and photographer living in Northern California.